Lakers super fan says is WRONG when he says doesn't have the clutch gene ... but RIGHT when he says LBJ is no ... or . Pippen took some shots at LeBron recently ... actually, he pretty much destroyed the guy on "ESPN First Take," saying the King turns into a peasant during crunch time in games. 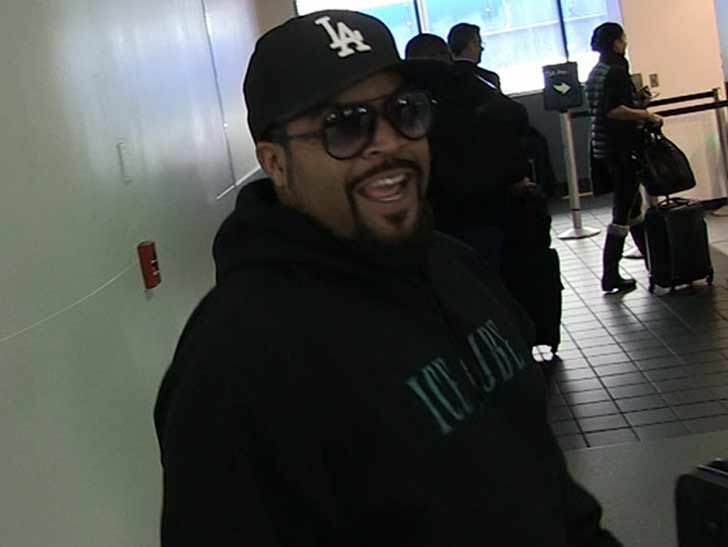 We got Ice Cube at LAX and asked the lifelong NBA fan if there's any truth to Scottie's scathing critique, and the West Coast legend said no ... and yes. "I think he does have the clutch gene, but not too many people in the world got the Kobe and Jordan gene." So ... LeBron is clutch, just not Kobe or Jordan clutch. So, he's not like a high-priced Gucci clutch bag ( to ) he's more like a Coach clutch bag (no disrespect to Coach). Makes sense ... Cube went on to say LeBron shouldn't sweat Scottie's opinion, because he's got and it doesn't matter, but we think Cube forgot one thing.